Our founders, William and Catherine Booth got away from the observances of Communion and Baptism…did they go too far? I know that this blog has covered the sacraments in the past…I’m will not shy away from such conversations. The question still remains, did our founders go too far in regards to the sacraments? I am not disagreeing with our doctrinal stances, I wish to ask the question. I also understand that they weren’t condemning anyone who participates in communion or baptism, but has it become something of an elephant in the room? One could argue that anything could become ritualistic and routine within worship practice. Thus, if our only argument against communion or baptism to be “ritualistic” in practice then perhaps we could look at certain practices we in the Army already participate in. Can sacred moments in worship become routine and ritualistic? Yes. Have they become so in our services? Yes, at times. If anything that we do within the practice of worship becomes something that it was never intended to be, should we cast it out? Or, should we bring it back into alignment? Whatever “it” may be? When we have our altar calls and the Mercy Seat is open, do we make it less significant if it is over emphasized…every.single.Sunday? I do not wish to diminish its importance in worship, but has it, at times, become our surrogate “go to” for the sacramental life? Is the Mercy Seat and the “sacramental life” one in the same, or mutually exclusive? Are there other representations or manifestations of the sacred that we over look and/or ignore in the process? Please do not misunderstand me, I do not wish to downgrade the importance of the Mercy Seat, but is there a danger of IT becoming ritualistic and thereby causing its loss of significance? Isn’t that partially why our founders moved away from the Sacraments in the first place? I believe that all of the external representations of holy or sacramental living are NOT as important as the inward relationship. This should not, however, eliminate the outward practices. It’s like a love relationship with a would be spouse or soul mate. You want the world to know that you are in love with that person and you want that person to know it too. So we express our love in many ways. We put our love on display for all the world to see. This is what the sacred should look like! It isn’t about appearances, or a statistic for Holiness meeting. It isn’t about anyone else but our relationship with the Lord in a corporate setting. How are our outward expressions today, dear Soldier? Are they bound up in appearances and/or ritual practice? Have they lost some of its true meaning? Are we running the risk of having these become more about practice than about significance within our hearts? Anything can become rituals devoid of meaning and significance if we allow them to develop as such. What kind of fruit are we producing from our spiritual walk with God? Can we be honest with ourselves as we reevaluate our priorities, our practices, the outward expressions of our inward change? If we are called to be set apart and to live out holiness in our lives, how can we avoid the ritual, the mundane, the loss of spiritual emphasis? These questions are worth pondering today in our Army world. Scott..very thought provoking. Look again at the story of the prodigal, focusing on the elder lost-son. What he did for the father was out of duty not love…done even without thinking rather than the value it made in the doing. He missed the awesome sense of the presence of the father in caring for all the father had. That is the crux of your message today. Scott, when we took communion in the Church we grew up in, it always brought sense and meaning to what Christ did for us. It never subtracted from the Word or from our worship. In fact, communion observance keeps Christ at the center of our focus. When we baptized people in Hong Kong and China, it was very significant to the baptized ones. In Hong Kong, it meant making a clean break with idolatry. In China, it meant to risk being arrested as PSB would arrest missionaries who baptized converts and put the baptized on a watch list as possible counter revolutionaries. So, in both cases, these sacraments reminded those who participated in them of the tremendous sacrifice Christ made for us and of the tremendous sacrifice that He is worthy of from us. Baptism represents death to the old self and resurrection to the new self. The non-practice of these observances by The Salvation Army has always bothered my conscience and I do ask the Lord to forgive me in this regard, but on the other hand, I know the Lord is so passionate about social justice and there is no ministry so well organized as The Salvation Army when it comes to ministry to the poor. I think we are fooling ourselves in The Salvation Army if we don’t think we still have sacraments. We do. We have created our own sacraments. There is an element of the Sacred that we want to have in our lives. We in The Salvation Army, although being correct in stating that these outwards signs are not necessary, have unfortunately swung the pendulum to the point where we have thrown out the baby with the bathwater. Try walking on or leaving a coffee cup on the Mercy Seat. See what happens. Try suggesting doing away with our British-style brass bands that have no significance in non-Commonwealth countries. We tried simplifying the rank system under General Gowans. Look at the resistance that came when that happened! Our Hierarchy: Self-explanatory. Many officers vie for DHQ/THQ positions or certain appointments for the prestige they believe it contains. There is a certain reverence contained with certain positions. We rise when the TC comes into a room. Perhaps we do need to revisit how we treat the sacraments. I understand our position. I support it. I would welcome a conversation on it. There is an element of the Sacred that we want to have in our lives. We in The Salvation Army, although being correct in stating that these outwards signs are not necessary, have unfortunately swung the pendulum to the point where we have thrown out the baby with the bathwater.You most certainly have thrown out the baby with the bath water.We have created our own sacraments. I wonder if you can support your created sacraments with the word of God.Your founder William Booth stated that outwards sign are not necessary,speaking of water baptism.Could you please support your own sacraments with the word of God.Please give scripture supporting your new sacraments.thank-you. Perhaps you misunderstood me. What I meant to say was that we have this intrinsic need to touch the Sacred and to engage God in a sacramental way. Since The Salvation Army has done away with the Sacraments in observance, we have inadvertently adopted new ones. 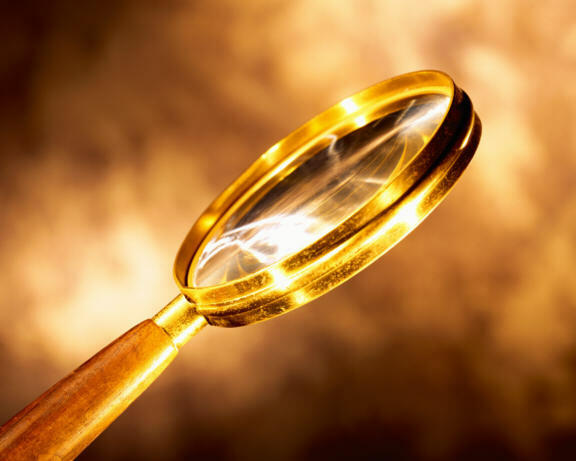 No Salvationist would ever actually say that we have new Sacraments; however, it is my observation and hypothesis that we have perhaps started a new sacrament. There is no Biblical basis implied in that statement. Just an observation. Having come from a non-Army background, but loving the mission of the Salvation Army, I have to say how much I miss communion and baptism. Aside from the long discussions we had at training about said subjects, I will just say that to this day I still miss them. As the congregations I have served as a musician, as well as those I grew up in celebrated, there was a definite “hook” in my mind as they happened to the scriptures , and I felt basked in the presence of the Holy Spirit. I have to agree that it is important that a person does not think of them as a means of salvation, but they feel so wonderful and deeply honoring of Christ. Thank you for your continued pastors ponderings they’re very much appreciated, especially when you tackle some of what is a fundamental issue The Sacrements. I personally think it’s such a massive thing communion. The final commission of Jesus.Mat. 28v20 teach them all that I have commanded you. 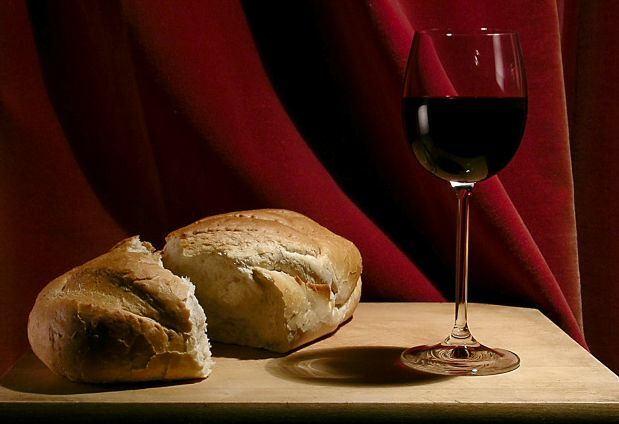 If we are to revear Jesus and His teaching,how can the mercy seat replace the bread and wine. We should celebrate jesus life as He wished us to. Till He comes again or calls us home. Just another reason TSA is not a church. Nothing wrong with that, unless it blurs the focus of what we are and what we should be doing. This collective fear of rituals I find bizarre and unwarranted. What is it about rituals that we have turned it into a dirty word? The reality is it’s “ritualism” not “rituals” that we find problematic. We have a wide variety of rituals that we use all the time. Think about it, when someone calls a person to the Mercy Seat they don’t have to explain to the congregation the meaning behind kneeling at a plank of wood at the front of the hall. If they said ‘stand and do 10 burpees’ you would need an explanation of the spiritual benefits of that. 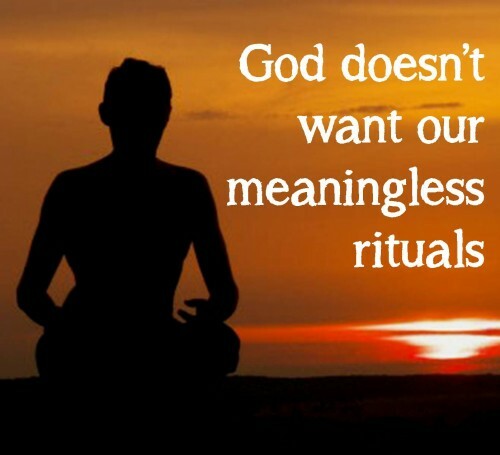 Rituals are actually helpful. Consider many of the others that we use – soldiership enrolment, scripture reading, prayer, commissioning and ordination of Officers, and so on. All of these things are rituals, but we don’t seem to have any problem with these. It’s only when Salvationists discuss the sacraments that we use the fear of rituals (teleophobia) to explain why we don’t practise them.